The National Institute on Aging estimates that over a half million seniors age 70 and over give up driving annually. And there are many more who should stop driving but don’t. It’s a difficult situation that seniors and their families find themselves in. Seniors tend to be a thoughtful, safety-conscious group on the whole. So why would they continue to drive when they are afraid or suspect it’s unsafe? Because there’s more involved with senior driving than the safety issue. It’s really about independence. 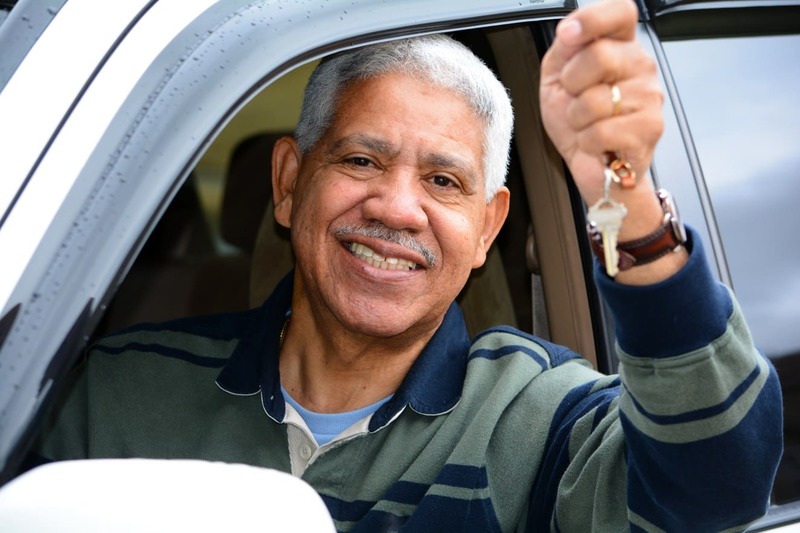 Most seniors feel that losing driving privileges means losing independence and loss of independence is one thing seniors work to avoid, sometimes at all costs. Many seniors deny their real limitations and driving difficulties long after driving has become dangerous for them. Senses – eyesight and hearing can become impaired. Often the loss is so gradual and the person is so accustomed to compensating for it that the senior doesn’t realize how poor his/her hearing and sight have become. Common compensations are to stop driving at night or on the highway because darkness and high speed makes it more difficult to see signs, traffic lanes and turns. Instead many seniors choose to drive only during the day and on back streets they are more familiar with. Movement – joints may become stiff and muscles weaken. As people age we tend to give up the “heavy work” and our muscle strength reduces to match our lack of activity. Response Time- reflexes slow causing reduced response time to high speed traffic and unexpected situations. Decision Making- high speed traffic, unfamiliar territory, and aggressive drivers can raise a senior’s stress level causing uncertainty and impaired decision making. Cataracts, glaucoma, macular degeneration, diabetes affect vision and, left untreated, can cause blindness. Alzheimer’s Disease and other dementias affect a person’s thinking and behavior. If the senior answers “yes” to any of these questions, it’s time to think seriously about their driving safety. If the senior answers “no” to all of these questions, it’s very important to have hearing and vision checked regularly and talk with a doctor about any conditions that may affect driving. These actions will help seniors drive safely longer. Is there life without driving? While loss of driving privileges is a traumatic change, it is often necessary for the safety of the senior driver, potential passengers and the public. The good news is that giving up driving doesn’t have to mean losing independence or social connection. It’s a lack of planning and knowledge of options that leads seniors to lose hope when they stop driving. The keys to helping our seniors cope with the inability to drive are planning and experience. There are a number of driving options available to most seniors. These include friends and family, public transportation, taxi service, non-emergency ambulance service, companion care, and limousine. These options differ greatly in cost and convenience. And certainly there are other aspects to consider like reliability, comfort, friendliness, security and cleanliness of each option as well. And it’s important to compare the costs and benefits of other transportation options with the cost of having a personal vehicle. Don’t know what options are available in your area? Seniors should get together with family members to help determine what transportation is needed. Create a weekly schedule of outings based on your senior’s social and personal activities. Check with local agencies such as the Area Agency on Aging and local senior centers. Church and civic groups may also offer senior ride services. And don’t let the senior think calling for a ride will put anyone out… that’s what the services are there for! It’s helpful if a family member or friend accompanies the senior the first time they use a new transportation option – new things can be a little scary the first time around. It’s always easier to experience something new with a trusted friend. Think you can’t afford companion service, taxi’s and busses? First, see if they offer a senior fare or discount. Then take a hard look at what it costs to keep your automobile on the road these days. Check the cost of insurance, upkeep and, of course, that pricey gasoline. Total up the cost for 1 year. Then divide by 12 months, or 52 weeks. You may be surprised by how much you have available to spend on an alternate form of transportation!